5)Manage plugin settings as per you want. You can user this widget area as normal widget area and set for 1 column, 2 columns, 3 columns or 4 columns content display. — Changed widgets area title from H1 tag to H3 tag. — Added new feature option to display extra widgets “ONLY FOR MOBILE DEVICE”. 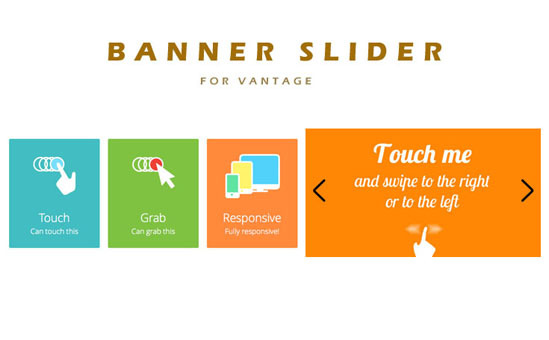 — Display only for mobile option added for above & below header and above & below footer section. 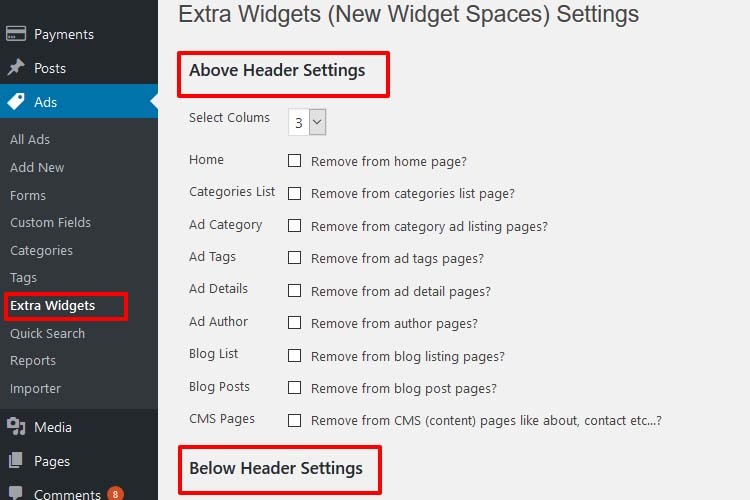 Until now, widget areas were limited to the sidebar and the footer. 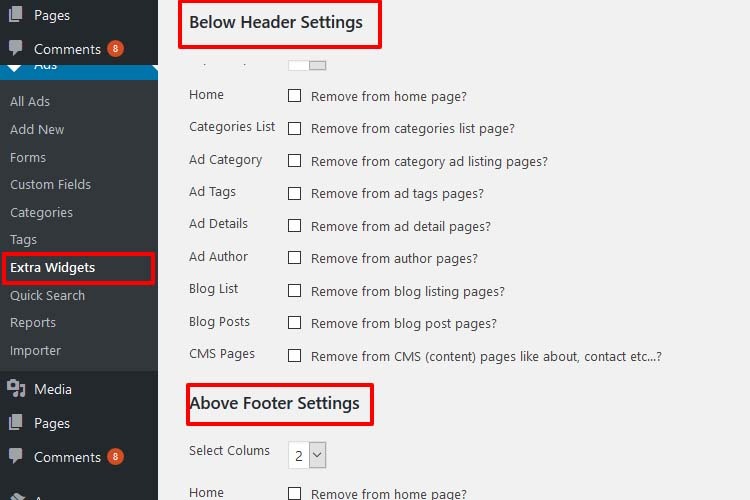 With this amazing plugin, you can add widgets above or below header, above or below footer. 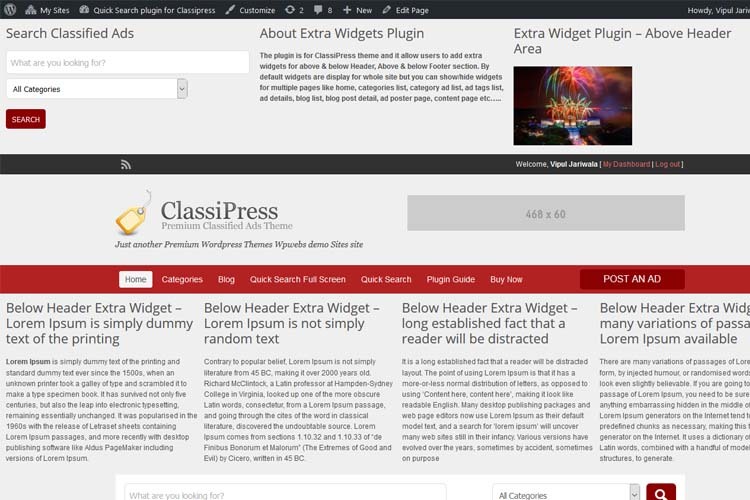 This widget plugin is a dramatic improvement for one’s ability to customize the pages. I have been using this plugin for a while, it works VERY well! Highly recommended. Can you do this for Jobroller? Also, could you make Banners Galore for Jobroller? 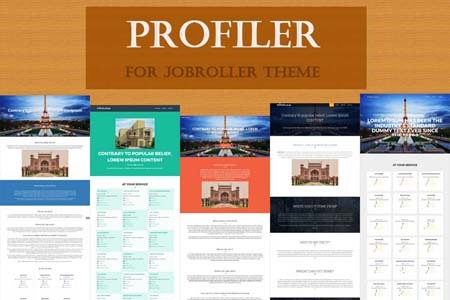 right now we are working for clipper theme then will work for jobrolller also but it will take about 10-12 day to be published on marketplace as it is DIWALI festival time in india and we are off for next 7 days. So new development is not going on. ok, great to know. thx. 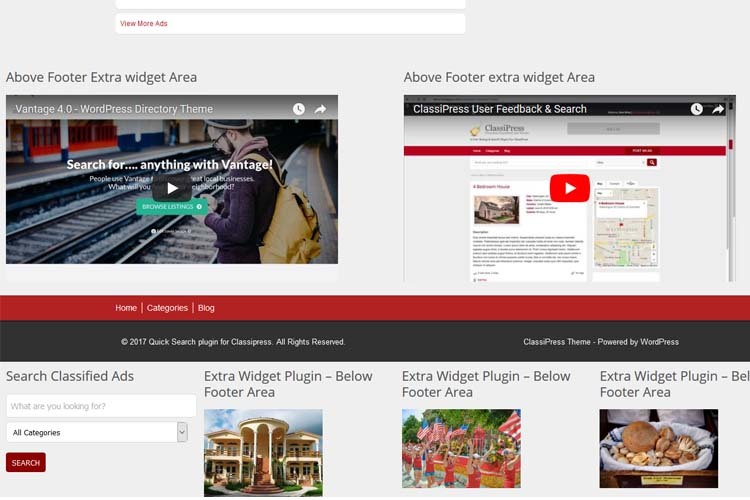 working for all classipress theme and child themes which is working good with ClassiPress original theme. The default title for all widgets is H2. But when I put a widget, any widget, into the “new widget spaces”, the title changes to H1. This is really interfering with the correct page structure. (Cannot have many H1 tags). 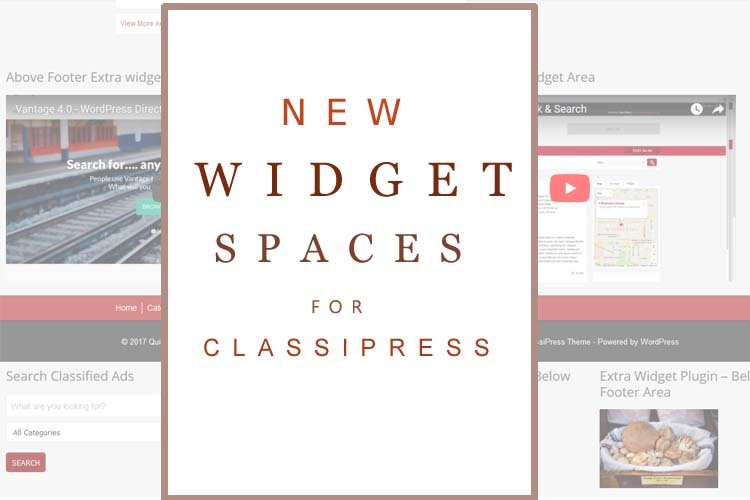 Please offer me ONE custom CSS code that will work on ALL new widget spaces and that will make ALL widgets have a H2 title, NOT H1 title. Yes it was SEO related problem and we have changed it to H3. please change to H2. the widget titles are all H2. thanks.